- Fashion Ecstasy on 五月 16, 2013. 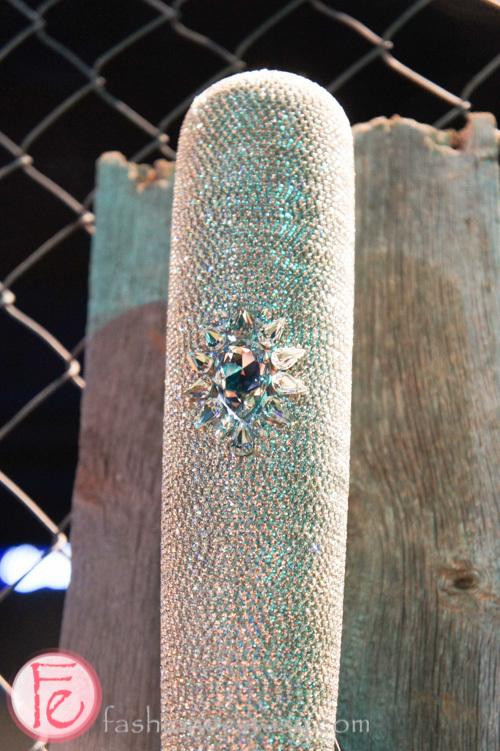 This year’s Curve Ball was bigger than ever! Held on Monday, May 13, The Curve Ball 2013 attracted over 1,000 guests and Toronto Blue Jays’ die-hard fans to gather at the Rogers Centre to support and raise money for Jays Care Foundation– the charitable arm of the Blue Jays that helps children reach success by discovering & develop their full potential. Different from a usual black-tie gala, VIP guests decked out in stylish jeans with embroideries for the evening themed ‘Denim and Diamonds’. In attendance were the coaches, the current Blue Jays players, and notable alumni and guests such as Paul Beeston, Alex Anthopoulos, Melinda Rogers, and Keith Pelley. 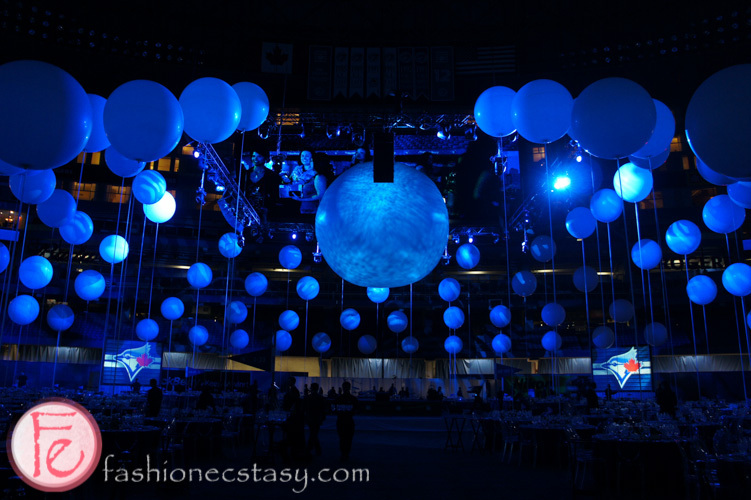 The dinner was set up on the very same field where the Jays play, beside was an area of silent auction featuring unique & amazing items such as a private jet trip to support the Blue Jays in NYC, a private pitching session with R.A. Dickey, and a row of artistic bats inspired by the Blue Jays players created by 18 artists. 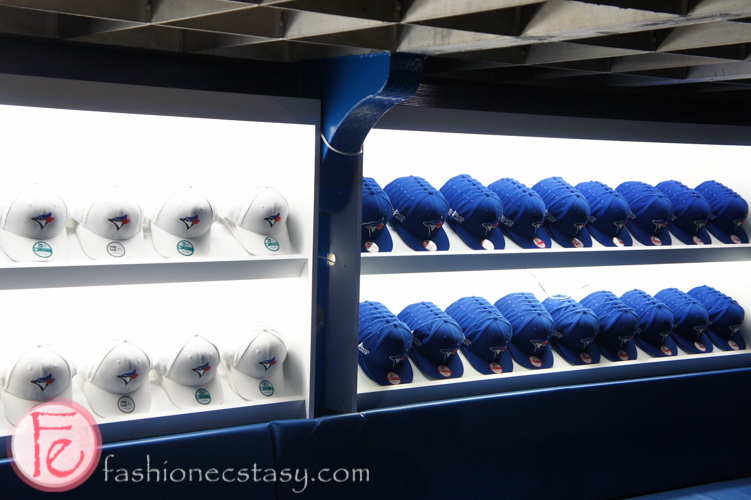 Special New Era Jays caps were made by putting a diamond in the Blue Jay’s eye and Toronto’s skyline on the brim.